- Great flatmates! - The unit is located in a quiet street in the Encore apartment complex – it is a safe, secure, well lit area (streets and property complex). - Public transport is a short walk from the complex (5 minutes to bus stop on Moggill Road near BBC or 10 minutes to Toowong train station). 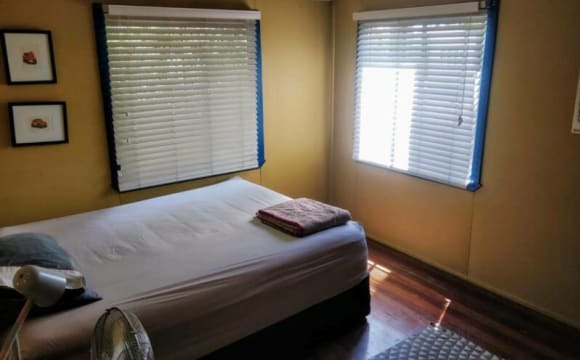 - The unit is air conditioned throughout and the bedroom has a private air conditioner. - Across the street from Perrin Park. - Fully furnished lounge, kitchen and laundry areas. - Access within the complex to a great pool and gym. - Balcony area with an outdoor setting. - Potential for car parking in the garage or in outside parking lot, and lots of street parking. Ideally, we’d be looking for a non-smoker, with a similar lifestyle to ours (low-key and relaxed). Students are welcome to apply. Unfortunately no animals are allowed. If interested, please apply and we’ll get back to you as soon as we can! No Bond, but two weeks' rent plus ID etc. is needed to move here with preference given to long term tenants. 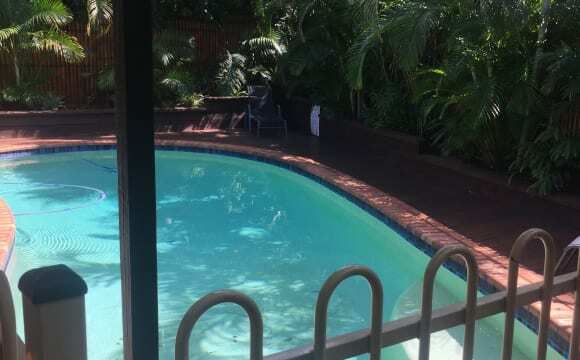 This home is peaceful and tucked away with beautiful views to Mt Coot-tha and surrounds. It is close to City transport Bus 471 stop 18, or a 15 minute walk to Auchenflower Station. Each area of the house has AC. There is a cozy living room with streaming services for the TV. The kitchen is well equipped with dishwasher. Communal areas are professionally cleaned each fortnight. Outside smoking is ok with plenty of seating available. Looking for someone who respects others' privacy and lends a hand with keeping the place clean. The available room is a double with floor to ceiling windows and amazing views. It is important to note: this is not a party house and we (my daughters and myself) are not social at all, although we are always ready to help if there is a problem. Please email enquiries as answering the phone or texts is difficult. 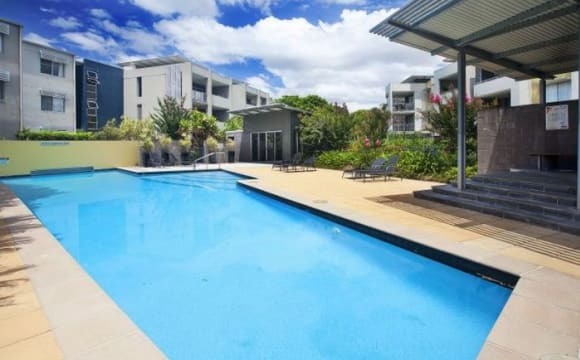 This is a great apartment in an excellent location, 5 mins walk to Toowong Village, close to the train station, bus services to UQ and the city as well as the Regatta Ferry Terminal. It's also close to the Bicentennial Bikeway which is great for commuting into the city, South Bank and QUT, or for a joy ride on the weekend or just an evening walk. We have wonderful river views and a communal pool with a large modern bbq that is free to use for residents. You can also book the pool/bbq area to host friends and family etc. We keep the apartment clean and tidy and often share a meal together or a chat over a cup of tea. Bedroom 3 is available, it has a 3 door built-in cupboard and you would be sharing a bathroom with one other person. The bedroom can fits a double bed, bedside table, a dresser and a bookshelf. The move date can be flexible but must be before June 15th, so happy to discuss this if you like the place. We have unlimited internet and we split all utilities equally. 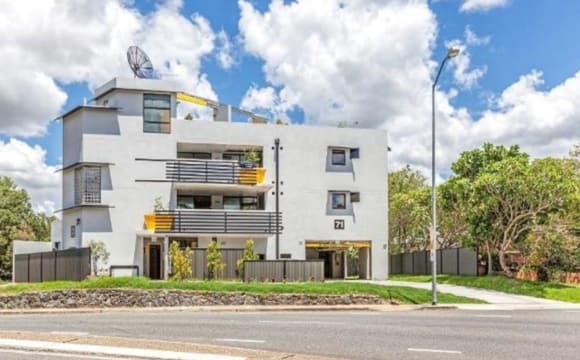 This is a fully renovated townhouse is located on the ground-floor of a quiet residential complex in Toowong, with Toowong Village and bus stops to UQ and the city just a 10 minute walk away. It has a modern, minimalistic look with hardwood floors throughout and has a welcoming breeze and natural sunlight. Contains all the appliances you'll need and more including a coffee machine, toaster, in-built microwave, filtered cold &amp; boiling water, washer &amp; dryer, AC in the living area and even a barbecue on the balcony - perfect for entertaining mates! Some of our favourite features are the swimming pool, steam room, outdoor area and large fish tank. The room itself is 3.3 x 3.3 m, carpeted and includes, a queen-sized bed, built-in wardrobes, a fan and plenty of cupboard/storage space. It can fit a queen sized bed and desk comfortable (see pics!). Rent is $200/week, exclusive of bills - these being internet ($15/month each for unlimited data), power and water (all split 4 - ways). 4 weeks bond is required. If you have any questions, would like more photos or would like to arrange an inspection; please message or call me. 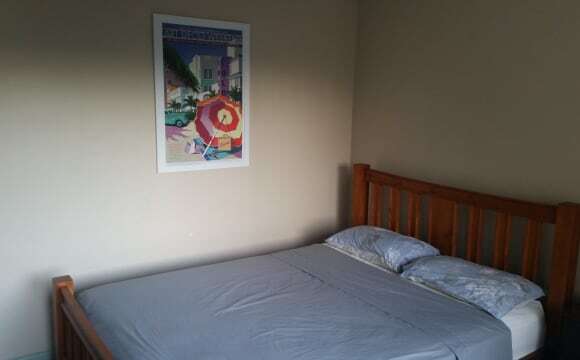 Private fully furnished bedroom just minutes away from shops, bus stops, train stations, and a public library. The unit is ideally located in a secure complex within a central Toowong location. The open plan living and kitchen area have a fresh and modern feel and an open private leafy balcony. 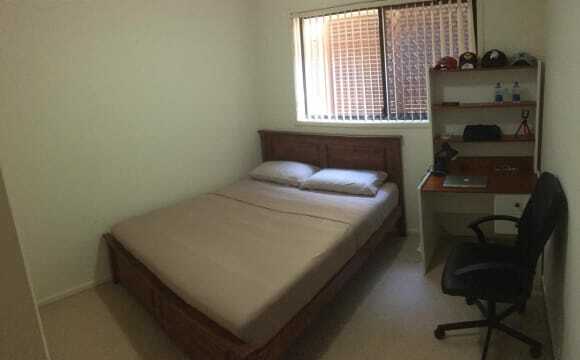 This place is perfect for student or professional who like having a private and quiet space. Features: •	Bedroom with own bathroom and separate toilet. It comes with queen bed, built-in wardrobe, desk, reclinable chair, bed linens and pillows. •	The weekly rent is $175 and the bond is 4 weeks rent. •	Bills to be split and pay equally. Unlimited internet is $22 per month per person and Electricity cost would be payable quarterly. •	You would share the unit with a tidy, clean, quiet, and respectful couple. We spend most of our time working and studying. •	This is a two bedroom &amp; two bathrooms unit. •	Fully stock up kitchen with dinnerware, pots, pans, cooking utensils, spacious fridge, electric glass-ceramic stove, oven, dishwasher, rice cooker, mini bake &amp; grill oven, kettle, toaster, and blender; with plenty of cupboard spaces to store your stuff. •	The fridge would be shared equally with your two flatmates. •	Comfortable lounge and dining with air conditioning, TV, and sofas. •	Very generous balcony with leafy outlook and a little stream. It comes with an outdoor dining table with 4 chairs. It is a perfect spot for studying, eating, hanging around. •	Laundry - washing machine &amp; dryer machine. •	Secure main entrance to the complex via key or intercom. •	Lockable double garage with huge space for parking and storage. •	Visitors parking and free parking on the street. •	Public BBQ in front of the building Location: •	Campbell Street, Toowong. This street shares boundaries with Taringa and it’s located in the middle of Toowong and Indooroopilly. 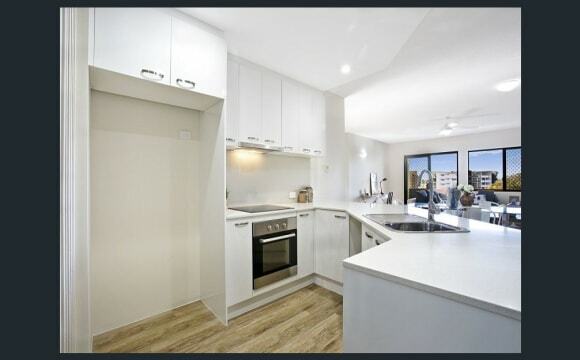 Therefore, the unit is a few minutes away to Taringa Shops and Toowong &amp; Indooroopilly shopping centres. What a great location! •	Perrin Park is just a block away. 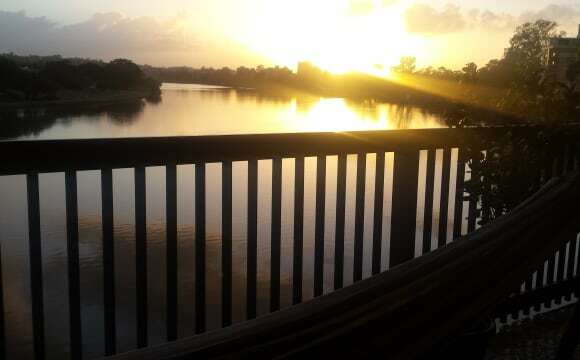 •	Taringa &amp; Toowong train Station ~ 11 min walk. •	Moggill Rd at BBC, stop 16 ~ 4 min walk. 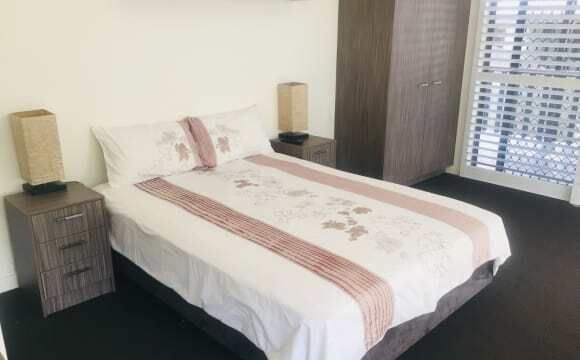 •	Toowong Village within walking distance (12 min walk), which is home of Kmart, Coles, Fitness First, David Jones, Grill’d, San Churros, cafes, a public library, train station, and several well-known shops and restaurants. •	Indooroopilly Shopping Centre just 4 min away driving. 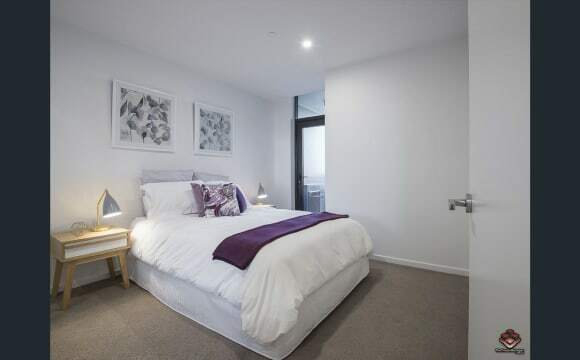 This beautiful student accommodation is situated at a quiet yet convenient location, close to Toowong Village. Easy access to trains and buses to UQ, QUT, CBD, South Brisbane and all directions. The rooms are fully furnished with study desks and chairs, comfortable beds, drawers and etc. They are nice, clean with natural lights. All bills are included ( Water, electricity, gas and unlimited internet). You won’t be disappointed once you view the room. It’s cozy &amp; close to everything including universities transport shops and many more . What isn't great about living at this apartment?! 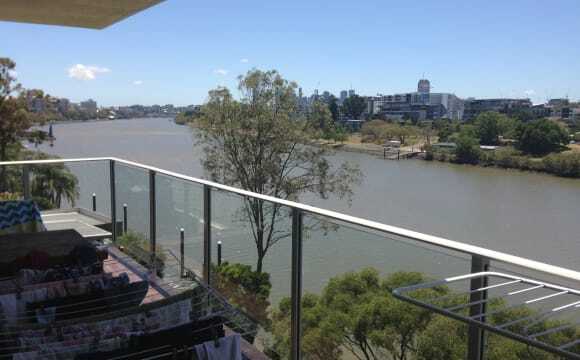 - Rooftop pool that overlooks Toowong, Brisbane City and the Brisbane River (Riverfire and NYE Fireworks visible from the rooftop and the place to be on both of those occasions) - Airconditioning available! 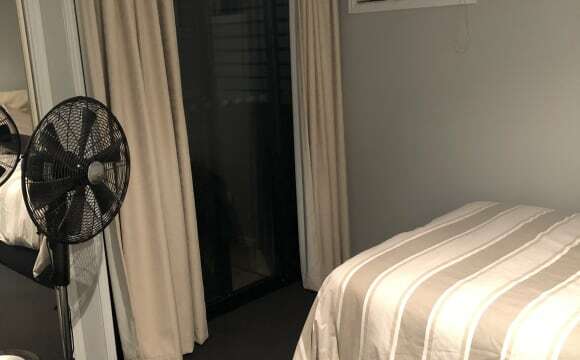 - We do live next to Toowong train station and this can be noisy so if you are a super light sleeper, this probably isn't the place for you, however, once the doors are closed - you can't hear a thing! - Netflix available (thank you to my brother who pays the account!) - Amazing views from both the balcony and the rooftop! 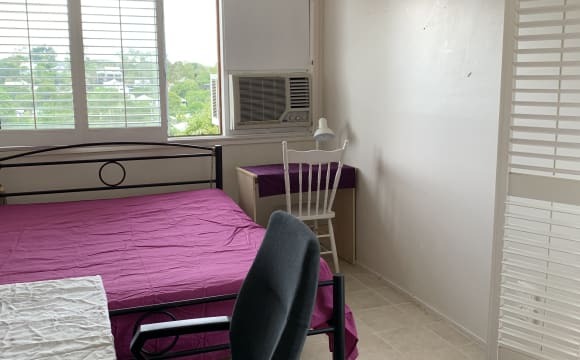 - Walking distance to Toowong train station, bus stops, the Royal Exchange Pub (2-4-1 meals on Mondays - that can be roommate hangs night!) - Walking distance to T4 Pizza (amazing), Nandos, GYG, Ramen, Sushi, Thai, Italian and the best Indian in Toowong right below the building (and slightly down the street but not far!) - Free gym on the rooftop and F45 located in the building (3 weeks free training just for living in the building and then sadly, you do have to pay) - 2 BBQs and a huge entertainment area on the rooftop.